With the uncoupling of Jennifer Hudson and David Otunga came loads of drama. 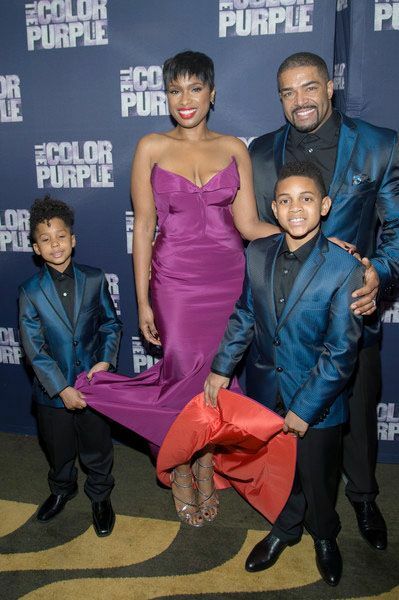 JHud ended up filing a restraining order against David and then a nasty custody battle over their 8-year-old son, David Jr.
Well, it looks like things are starting to get sorted out with temporary fixes. David made it clear that he’s David Jr.’s primary caregiver due to JHud’s busy schedule. So, its understandable the judge would rule in his favor…at least for now. Also, JHud decided to drop the restraining order she filed against David, which prohibited him from having contact with her or her son. She accused him of “increasingly aggressive, threatening and harassing behavior towards her.” There were claims that he would threaten and intimate her with a gun and would take their son out of town on trips without her knowledge. You'll recall, JHud kicked David out their home and he accused her of cheating with producer Mali Music. It’s reported they will be due back in court on December 7th. Mel B and Stephen Belefonte’s divorce is complete. All is left to do is have a judge sign off on it and they’re dunzo. Thankfully. Because it was getting ugly. So yeah, neither of them will have to pay child support and they have to sell their family home. We wonder if Stephen even put up anything for the home in the first place. The former Spice Girl will also have to dish out spousal support for the next 3 years. Sheesh.